In a new report published by the Global Warming Policy Foundation, Anastasios Tsonis, emeritus distinguished professor of atmospheric sciences at the University of Wisconsin-Milwaukee, describes new and cutting-edge research into natural climatic cycles, including the well known El Nino cycle and the less familiar North Atlantic Oscillation and Pacific Decadal Oscillation. STT has been battling this for years. We have attempted to throw every sound and reasoned argument against subsidised wind power, but the single most damaging feature of attempting to rely on the weather for power is the obscene cost. In short, the headline grabber is always, and everywhere, retail power prices. 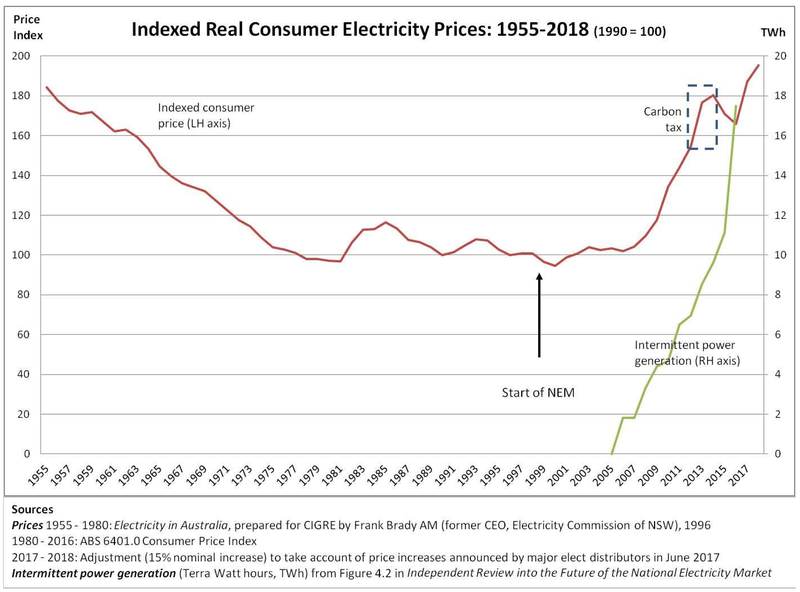 No amount of political flummery, no amount of wishful thinking about pumped hydro or non-existent mega-batteries can overcome the damage done by a rocketing power bill. Over the next few weeks Australian households and businesses will tear open envelopes to reveal an invoice from AGL, Origin and the like, fully 20% higher than this time last year (the underlying rate of inflation in Australia is around 1.5%). The damage done to the case for subsidised wind and solar is permanent and fatal. 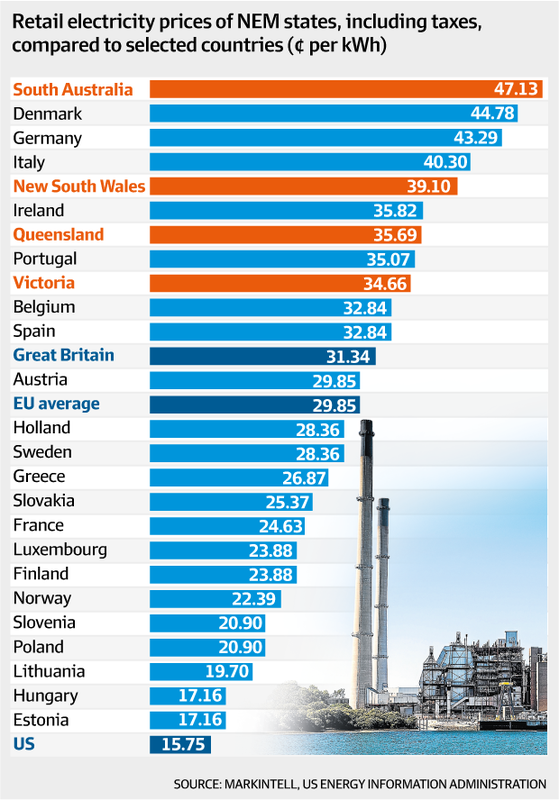 Australia “blows” up its last remaining coal-fired power stations in reverence to Gaia and the green gods, whilst it sells its own demomised coal to the rest of the sane world. The Australian Labor Party is funded by the Union Super funds that its faithful band of apparatchiks control. The likes of Bill Shorten, Greg Combet and Garry Weaven are all heavily invested in maintaining Australia’s Renewable Energy Target, because Union Super money, under their control, has been thrown into wind and solar power outfits like Pacific Hydro. Labour Unions provide the financial backing to the ALP and Union Super funds are the cash cows that make their largess possible. There aren’t many businesses where the management gets to control investment and guarantee the returns, at the same time.